Located in Detroit's Corktown neighborhood, Brooklyn Street Local is a restaurant that features fresh, locally sourced ingredients. In January 2012 Jason and I moved from our apartment in Toronto to 1266 Michigan Avenue, a former breakfast restaurant that had been closed for two years. We set up sleeping bags on the table tops and for two weeks we camped out at the restaurant, trying to figure out what we had gotten ourselves into! 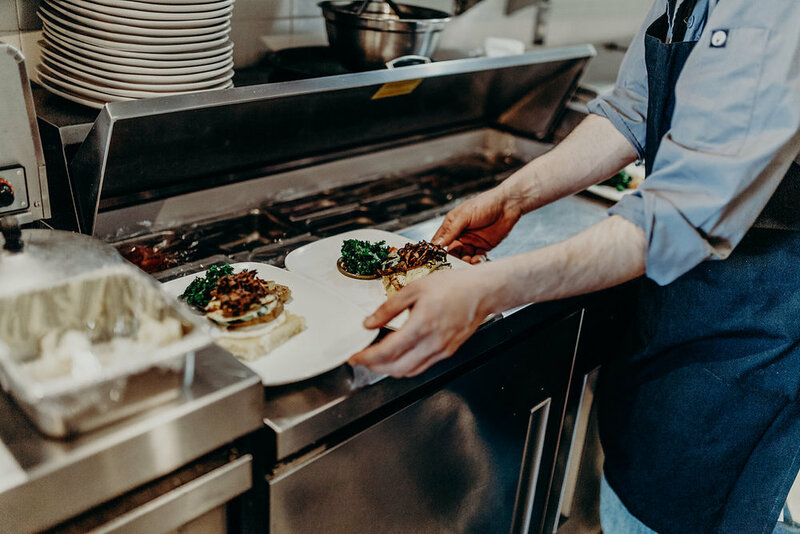 Our vision was to open a restaurant that would feature locally sourced ingredients on the menu, use environmentally sustainable practices and support community growth. As much as possible we offer local, seasonal, organic ingredients many sourced from urban farms in Detroit. We are dedicated to composting, recycling, waste reduction and constantly strive to decrease our environmental footprint. One of the things that makes Detroit such a wonderful place is the sense of community. We love to collaborate with other businesses and organizations, host pop ups and volunteer in the community. More than anything we just want to serve food you can trust in an environment that is warm, relaxed and welcoming.